Newer patterns have been corrected, but check to see that your pattern has corrected pages 1 and 6: Click on an image to download the latest PDF. 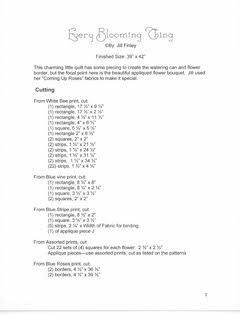 In cutting instructions, under white background print, cut the (3) rectangles 5"x 3 ½“ instead of 3". These blocks are used in step 4 on page 3. 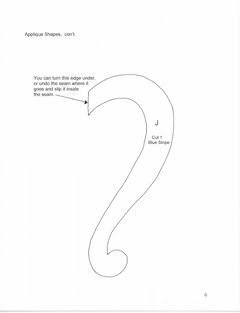 On page 5, after step 10, it should read: **Your quilt center is finished. Now we will sew the borders on. The following instructions are specific for a quilt center that measures 40 ½” x 51 ½”.